This article is part of "Forests for Climate and Development," a CGD partnership with the Guardian Development Professionals Network. You can see more on The Guardian's website. FRANCES SEYMOUR: How did you first become aware of the importance of tropical forests to climate change and development goals? 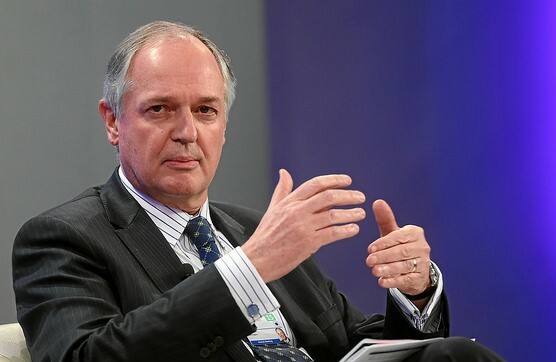 PAUL POLMAN: I joined Unilever at the end of 2008. Earlier that year, Greenpeace activists in orangutan costumes had scaled our London headquarters to raise awareness about the deforestation impact of the palm oil going into various consumer products, including our well-known Dove brand. That protest evolved into a really constructive, if challenging, dialogue with Greenpeace on how Unilever could become part of the solution that continues to this day. So some of my earliest conversations within Unilever were about how we could better use our “procurement muscle” to turn the palm oil industry around—building on the good work that had been started five years earlier, when Unilever was one of the founding members of the RSPO. The more I learned about tropical forests in the course of those conversations, the more I realised that this is not just about trees (magnificent and entirely worthy of our protection though they are in their own right). This is also about biodiversity, climate change, water, poverty and human rights, and the preservation of indigenous ways of life. In short, the forests are the “ground zero” of the twin challenges of climate change and sustainable development. Our extended responsibility for the total value chain of our products is also something I believe in strongly. As such working on forest protection is for me a logical part of the Unilever Sustainable Living Plan we rolled out in 2010, given that the enormous global demand for food is one of the main drivers of deforestation. Some of the materials used to manufacture your company’s products are “forest risk” commodities such as palm oil. How is Unilever ensuring that it is part of the solution rather than part of the problem of tropical deforestation, and what is the business case for doing so? Unilever is the world’s single largest end-user of palm oil, purchasing nearly 3 percent of global palm oil production. Whilst we can not do everything alone, with this scale comes responsibility—to make sure that our supply chains are not driving tropical deforestation, and to tackle endemic social issues such as forced labour and the protection of indigenous people. We take this responsibility extremely seriously. In 2015, we were already the largest end-user of physically certified palm oil in the consumer goods industry. By 2018, our aim is that 80 percent of our palm oil volumes will be physically certified, and by 2019, 100 percent. However, our scale also brings us a huge opportunity—not just to de-risk our own supply chain to protect our own reputation, but to help drive sector-wide transformation. Without this, a commodity that is so central to our business will always be problematic, no matter how sustainable the palm oil we actually source is. We have started to tackle this challenge within our own supply chain, by directing investment towards examples of the broader transformation we would like to see. For example in Sei Mangkei, in North Sumatra, we have invested 130 million euro in a new palm oil refinery that will allow us to work more effectively towards 100 percent physically certified oil, to improve traceability back to the plantation and to bring thousands more smallholders into our supply chain. We are also using our influence to raise standards across the palm oil supply chain, by applying it to levers such as certification, methodologies and financing, and through engagement across governments and industry. The quality and quantity of this engagement has leapt in recent years, with the Consumer Goods Forum (CGF) commitment to zero net deforestation by 2020, the New York Declaration on Forests and the formation of the Tropical Forest Alliance all moving the agenda forward in different ways. Translating industry and political commitments into tangible change on the ground is the hardest bit, however, and it’s here where we still need to make real progress. In 2015, an advocacy group identified Unilever as among the “laggards” for its policies and practices related to sourcing of “conflict palm oil.” How did you respond? Different stakeholders have different priorities and different ways of measuring progress, and as the profile of palm oil has risen, more and more civil society groups have started to pay attention. While most have praised us for our leadership, some have criticised what they saw as a gap between our ambitions for, and work on, sector transformation, and the “nuts and bolts” of our sustainable palm oil sourcing policy. So in late 2015/early 2016, we took the opportunity to further evolve our policy to make sure it properly reflected our ambitions. We invited a range of NGOs and other stakeholders to contribute their views, and we held an independently-facilitated workshop in London that enabled people to meet us and discuss the issues in more depth. Out of that process came our new palm oil policy, in which we committed to the 2019 deadline for 100 percent physically certified oil, as well as setting out our requirement for compliance across our suppliers’ entire operations, not just the palm oil that we buy from them. I’m pleased to say that the same advocacy group now rates us as a “front runner”—for now! It is the job of NGOs to continually push companies’ comfort boundaries, although we continue to prefer working with NGOs that are willing to come on this journey with us and be part of the changes needed, which often require involvement of third parties. In Paris in 2015, you committed the company to move toward preferential sourcing of commodities from jurisdictions that were making progress on reducing deforestation—what progress have you made on that pledge over the last year? We have made some good initial progress on making this pledge come alive. At a small scale, we have started to test the idea of preferential sourcing from deforestation-free jurisdictions in the district of Kotawaringin Barat, in Central Kalimantan province, Indonesia. Here, like across Indonesia, smallholders have much lower productivity than the commercial plantations, despite making up approximately 40 percent of the country’s palm oil production. That means that there are big opportunities to increase yields, improve livelihoods and protect forests at the same time. However, increasing the productivity of smallholders is often constrained by issues such as lack of farmer groups and training, and limited access to markets and finances. In response, we have agreed to partner with the provincial government of Central Kalimantan, the district government of Kotawaringin Barat and the NGO/expert institute INOBU to take a “village by village” approach to sustainable palm oil. In practice this means supporting all smallholders in the village of Pangkalan Tiga to reach RSPO and ISPO standards of palm oil production, as well as mapping the palm oil smallholders in at least three further villages in the district, helping thousands of farmers to obtain land certificates, business licences and environmental permits. The certification of all smallholders in Pangkalan Tiga would make it the first certified “sustainable village” in the world of palm oil. The partnership is the first public-private agreement between a sub-national government and an international buyer, and if successful has the potential to be expanded to other areas in the district. At a larger scale, we recently announced our involvement in a new finance facility for investing in deforestation-free sourcing areas. The Tropical Forests & Agriculture Fund is an initiative of the Norwegian Government and IDH, which aims to protect over 5 million hectares of forests and peatlands in tropical production and sourcing areas directly through projects secured by 2020. It will do this by de-risking private capital investments into large deforestation-free production and protection initiatives. The Fund will be launched in mid-2017 with an initial committed capital of $100 million from the Norwegian governments’ International Climate and Forest Initiative (NICFI), based on a 2020 capitalization target for the Fund of US$ 400 million, to be drawn from bilateral and multilateral public donors as well as private sector partners. The Fund aims to trigger US$1.6 billion in private capital investments and by 2020 to fund more than 20 production and forest protection projects globally. The Fund will be an incentive for governments of countries with tropical forest areas to reduce deforestation and related greenhouse gas emissions, by driving enhanced, high productivity investments in countries and jurisdictions that have policies to that regard in place. Unilever plans to invest $25 million in the Fund over a five year period, targeting palm oil smallholders in our priority sourcing areas in Indonesia and West Africa. We see this money as a highly leveraged investment to secure our long-term access to sustainable sources of the commodities on which our business relies. What has emerged as the most difficult challenge in implementing the company’s commitments to get deforestation out of its supply chains? One of the biggest challenges we face is that the vast global palm oil supply chain is incredibly long, complex and opaque, and so working out where palm oil that has been grown on recently deforested land is entering our supply chain is very hard. Unilever needs palm oil not just for our food products but also for our personal care portfolio, the latter in the form of numerous palm oil derivatives which increases the complexity of our palm oil supply chain significantly. Even achieving a basic level of traceability has been a challenge, although we have made good progress and now 73 percent of our volume can be traced back at least to the processing mill in the country of origin. A critical tool in this effort has been the World Resources Institute’s Global Forest Watch platform, which recently announced new functionality to use the power of satellite monitoring to track and manage forest-related sustainability performance. Whilst keeping up momentum towards 100 percent traceability, we are at the same time working with Proforest, Rainforest Alliance and Daemeter on our existing mill traceability data to identify high-risk sourcing areas around those mills. It is these challenges, along with the inherent limitations of certification schemes, that have been the driver for our commitment to preferentially source from entire jurisdictions that are making demonstrable progress to protect forests whilst increasing agricultural productivity. What is the primary reason that more companies haven’t followed Unilever’s lead in pledging to promote transformational change in eliminating deforestation from commodity supply chains? I think, actually, that more companies are starting to play transformative roles in commodity supply chains. M&S, for example, is very aware of the importance of raising standards across the industry and a real champion of collaborative working to achieve this across an impressively wide array of products and commodities. More broadly, the Consumer Goods Forum resolution of zero net deforestation by 2020 foresees a very transformative role for itself and member companies, although implementation is neither as uniform nor as aggressive as we need, of course. Leadership starts with a firm commitment at the top, and a longer term vision for business beyond the confines of quarterly reporting. Companies often worry that their supply chains need to be whiter-than-white before they can stand up and talk about the broader changes that need to take place—they worry they will be shot down in flames if they don’t have a perfect story to tell about their sourcing. But at Unilever we find value in acknowledging our limitations and mistakes, but making the case for the transformational change anyway. And this makes sense—because a company does not operate in a vacuum, but in a much larger system, and both need to change together. What’s the single most important thing governments in tropical producer countries could do to accelerate progress toward more legal and sustainable commodity production? Governments of tropical forest countries could accelerate progress hugely by implementing the land use reforms necessary to grow their economies without destroying forests. These include clarifying concessions and ownership (for example through the completion of Indonesia’s One Map initiative), improving transparency of decision-making, protecting the customary land rights of forest communities and indigenous people, strengthening the enforcement of forest and clamping down on illegal deforestation. They could then ensure all relevant policies—from financing to infrastructure—were fully aligned with and supportive of such a “green growth” agenda. At a sub-national level, they could demonstrate political appetite and practical actions to partner with sustainable commodity buyers, public and private donors and investors and local NGOs to create deforestation-free jurisdictions. …and governments in rich consumer countries such as the US and the UK? The Paris Agreement, adopted at COP21, sent a strong message about the critical role that forests can play in international climate action and included explicit mention of REDD+. The stand-out country in this space is Norway, as their International Climate and Forest Initiative has established REDD+ “pay for performance” partnerships with key forest countries such as Brazil and Indonesia. The commitment at COP21 by Norway, alongside the German and UK Governments, for another $5 billion for REDD+ over the next five years should jump-start other, longer-term commitments from other developed countries that can be aligned to the jurisdictional “produce protect” approaches discussed earlier. Governments in consumer countries can also play a huge role in strengthening the signals sent by the private sector for deforestation-free commodities—particularly through their procurement, trade and development assistance policies. Some countries have made good progress, but we need more ambition and coherence, for example at EU level, where the EU should broaden its approach to illegal logging to include forest-risk commodities such as palm oil and soy. You recently participated in the World Economic Forum in Davos. How do you think high-level networking events like that, as well as business groupings such as the Consumer Goods Forum, and multi-stakeholder partnerships such as the Tropical Forest Alliance 2020, can help actually reduce deforestation? Events like the World Economic Forum in Davos may sometimes look like talking shops and there is of course always that risk. But in actual fact, such meetings play a very important role. They get people together, including those representing many different countries and companies, who literally would not be in a room together at any other time during the year. And having got them together, they provide a strong incentive for people to cooperate, collaborate and come to some sort of decision or agreement that moves the agenda forward in some way. Initially, it may seem like this is more of a shuffle than a step or even a leap—but sometimes it is these small movements that actually lead to much larger things. The New York Declaration on Forests, which was a significant coming-together of global commitments to tackle deforestation, was catalysed by a series of meetings in Davos earlier that year. Your endorsement of our new book Why Forests? Why Now? referred to it as a “welcome source of optimism.” In light of the daunting challenges faced by the global community in reaching the goals of the Paris Agreement, why are you optimistic that we’ll be successful in marshalling the potential of tropical forests to contribute?